Heavy Duty for Frequent Use. 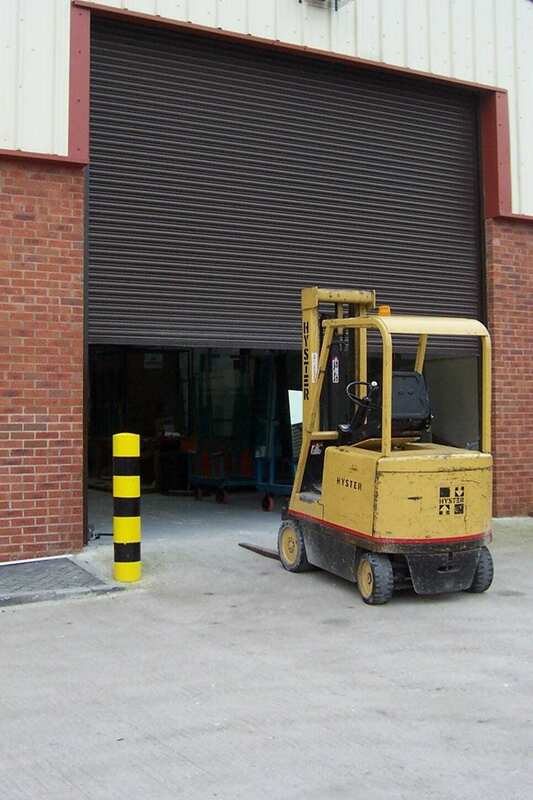 Our Steel Industrial Roller Shutters are an economic solution for businesses which require frequent access to large vehicles. 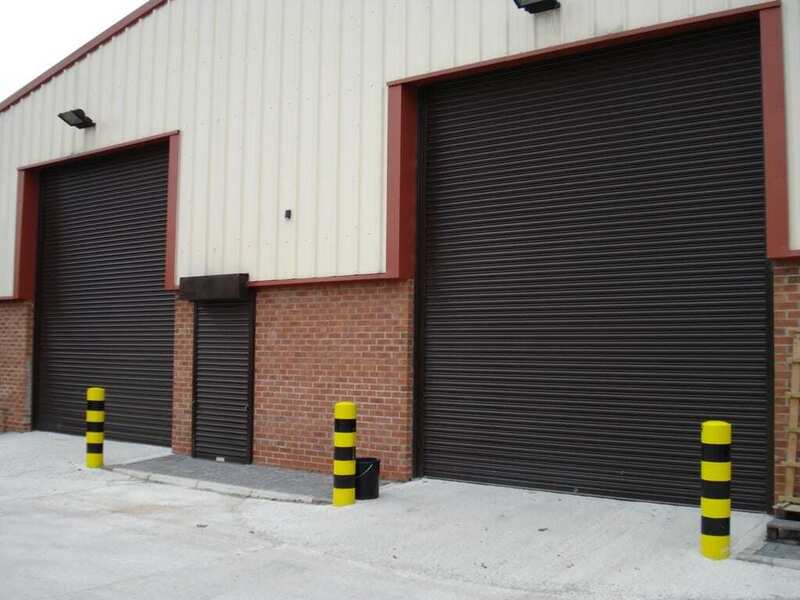 Available in a wide variety of specifications and finishes, each roller shutter is designed to suit individual requirements, we use high-quality materials and components which are a testament to our very first roller shutter which is still in good working order after over twenty years of daily use! 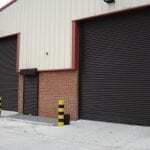 All types of commercial or industrial properties including: Factories, Garages, Retail Properties, Hospitals, Transport Depots, Warehouses etc. 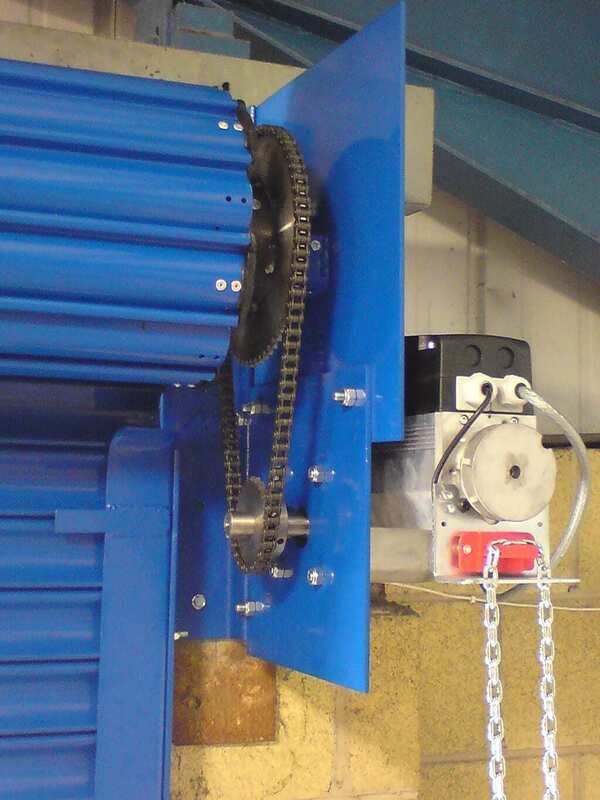 Chain Operation, Sizes up to 5.0mtrs Wide x 4.0mtrs High. 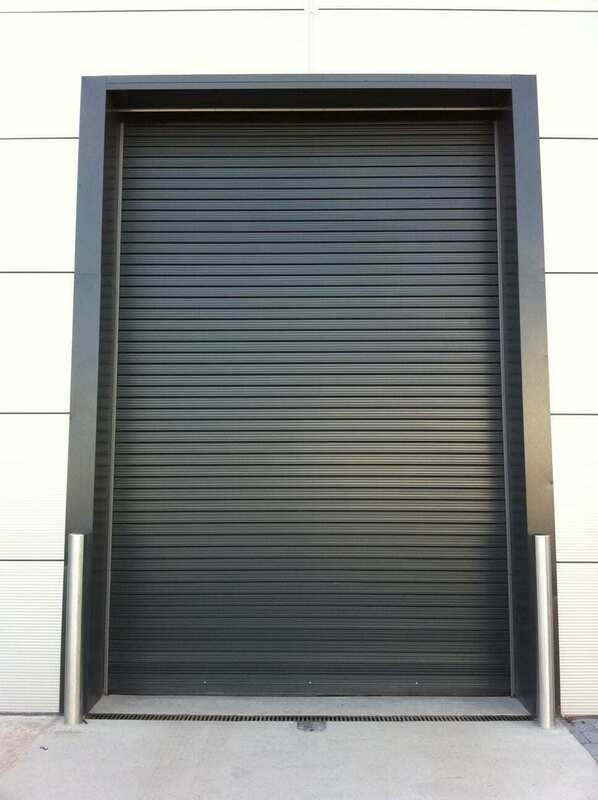 Electric Operation, Sizes up to 8.0mtrs Wide x 6.0mtrs High. Larger sizes may be possible depending on application. 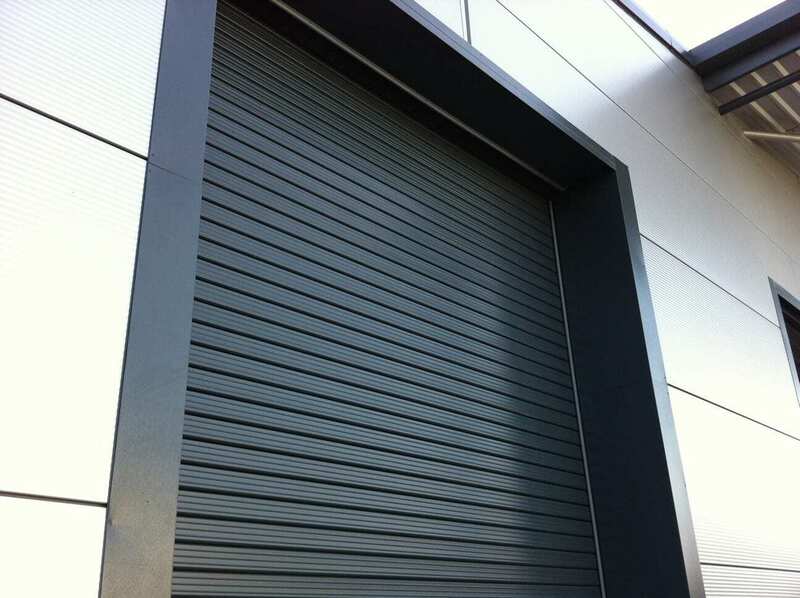 The curtain is built using traditional cold rolled formed steel galvanised laths, available in either solid galvanised or plastisol design. 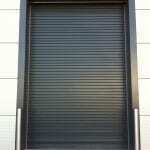 Steel and aluminium insulated curtains are also available for greater thermal performance. 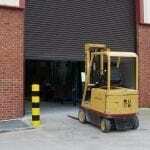 The curtain is laterally secured using high grade nylon endcaps. 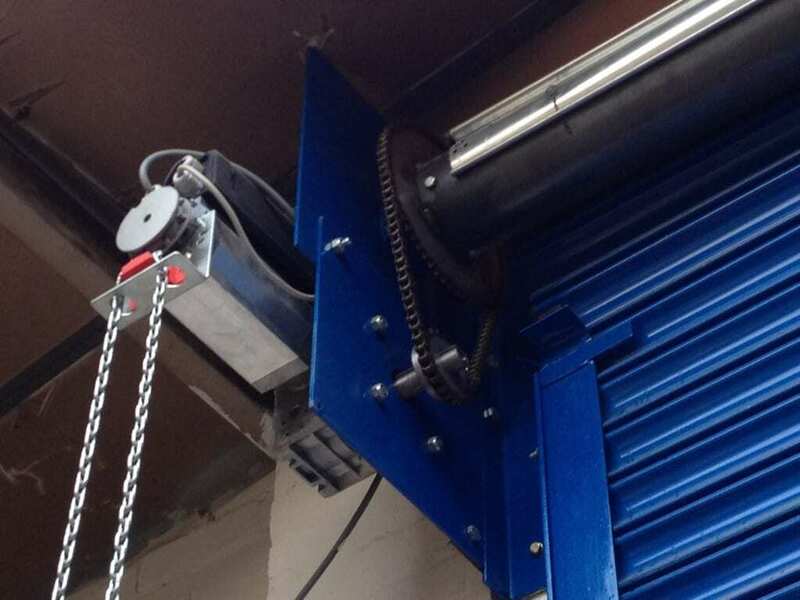 The roller shutter structure is secured to either side of the opening using two full height 6mm steel angles with concealed fixings, the coil plates are either bolted or welded to the support angles to create the main roller shutter structure. The guide channels are bolted to the main upright structures. 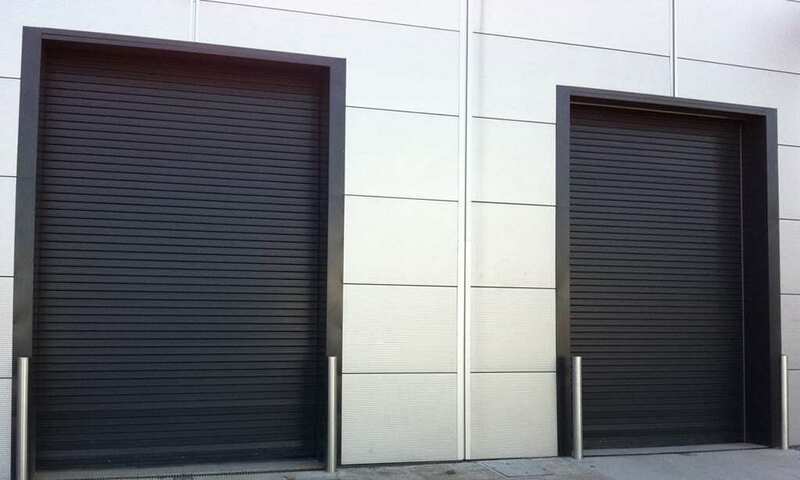 The guides are manufactured using high grade cold rolled 3mm galvanised steel sections, available in either 75mm or 100mm standard profiles, or 75mm or 100mm windlock profiles. 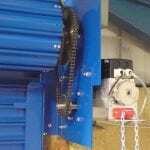 Chain Operated: hand chain operated via the assistance of a counter balanced spring with machined steel reduction gears to ease operation. 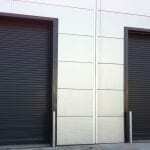 Security: Hand Chain Locking Box or Ground Locks. 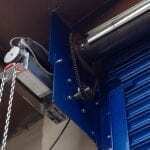 Electrically Operated: via high quality single or three phase industrial motors with machined steel reduction gears, integral limit switches, manual override , safety brake and thermal cut-out.